Master Landscapes is a business partnership, privately owned and run by Ray Williamson and Brett Staniford, which has evolved through years of experience. They currently operate throughout the Beds, Herts, Bucks, Cambs areas and have rapidly earned a reputation for providing clients with a reliable, top quality and professional service in both hard and soft landscaping. They also offer a design and build service to assist you from, “concept to creation”. 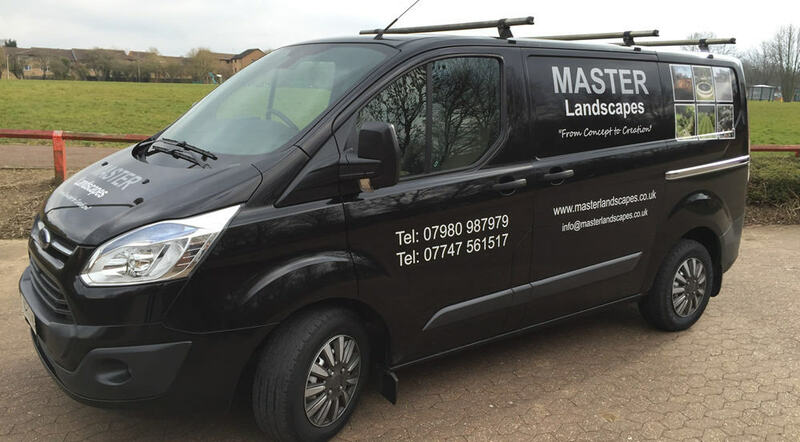 Master Landscapes holds Public Liability Insurance (AXA Insurance UK plc) and is covered for amounts up to £1,000,000. Master Landscapes has extensive certification, training and accreditation, including NPTC Cards achieved upon completion of their training on machinery and equipment. Ray Williamson and Brett Staniford have continued to assist designers with the construction of many medal winning show gardens at the RHS Chelsea Flower Show, Hampton Court, BBC Gardeners’ World Live and at the World Garden Competition at Hamanako Garden Park in Japan, as well as the design and build of one of their own. The show garden “When in Drought” at BBC Gardeners’ World Live 2012 was designed and constructed by Ray Williamson and Brett Staniford with plant lists from Marney Hall, and achieved an RHS Silver Medal. Please see their awards page for more details. “Our aim at Master Landscapes is to exceed your expectations and to win your confidence. Much of our work comes from referrals or repeat business”.